Planning ahead and anticipating future changes in consumer behavior is an important step in generating more revenue from in-branch ATMs at banks. Many financial institutions throughout the U.S. have made it their priority to adapt to technological innovations and maintain strong performance levels at their individual establishments. Current market trends and a variety of other external factors often have a direct impact on business success in the banking industry. For example, a recent report from ATMAtom found that changes in the way customers access their financial services have created new challenges for the traditional branch model. However, rather than letting this constant evolution interrupt existing practices, financial institutions that plan ahead and embrace the opportunity for innovation will be much more prepared to continue generating profits in the future. Even though credit cards and electronic transactions are a major area of focus in banking industry discussions these days, cash continues to be an important and widely used form of payment. In fact, industry expert Ron Delnevo recently argued in an article in ATM Marketplace that cash is one of the most secure transaction methods available. As a result, customers will likely rely on the local branches in their communities to offer convenient and easily accessible ATMs. 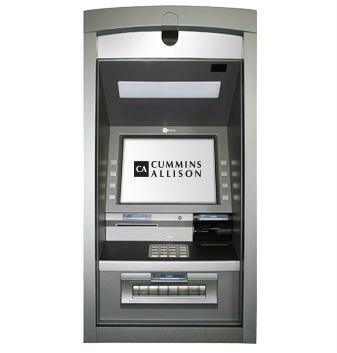 Upgrading ATMs sooner rather than later is a great way for financial institutions to prepare their branches for future market changes and evolving consumer preferences. With the right software and other security features, these organizations can refocus their lobby design strategies to maximize customer convenience and emphasize the availability of user-friendly, self-service kiosks and machines. A robust ATM strategy will also ensure that banks continue satisfying an important niche in the financial industry for years to come.